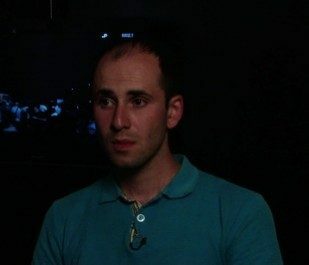 Violence was used against the journalist of Iravaban.net website Gevorg Tosunyan, while he was carrying out his professional activities and covering the action. “When you speak about violence, those are only words, but when you see what the people can do against you, seven people, who are stronger than you,” Gevorg Tosunyan told “A1+”. He says he was also threatened, when he hurried to leave after handing over the memory card. “They told me not to be there anymore and cover actions. They were trying to use violence against the journalist, so that the journalist not to try and wish to cover actions, initially they didn’t know which website I represent,” said the journalist. Due to the use of explosives, gas grenades and tear gas in Khorenatsi street, 34 citizens were transferred to the hospitals, 14 of whom to Erebuni medical center. “Most of them are intoxication cases or injuries caused by blunt instruments. All the injured received medical aid,” said Artak Vardanyan, senior surgeon at Erebuni medical center. After yesterday’s incident, Movses Shahverdyan, Chairman of Armenia’s Labor-Social Party, is in intensive care unit.